From the very first paragraph, An Untamed State by Roxane Gay grabbed me and would not let me go. I read most of it during a six hour car ride to Asheville, and I apologize to my coworkers for being weirdly anti-social, looking up from my book only to occasionally gaze out the window with tears in my eyes. Erica compared this book to a pirate's plank, and I almost don't even want to review it anymore, because her thoughts were so on point. I will try to add something anyway, because this is the kind of book I simply can't keep quiet about. 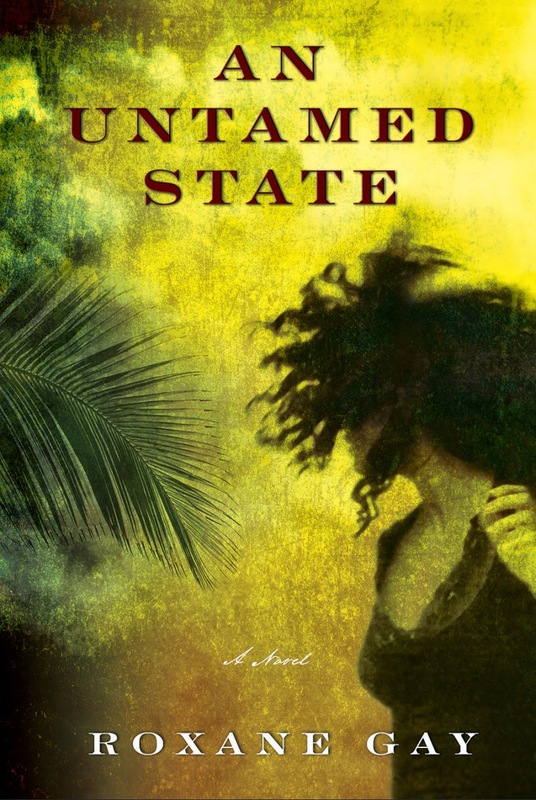 An Untamed State tells the story of Mireille, a Haitian woman born and raised in America, who is kidnapped and held for ransom while visiting her wealthy parents in Haiti. The story opens with her abduction, and it does not hold back - not in those opening pages, not in the ensuing chapters, and not when describing, in precise and stunning detail, the horrors she is subjected to by dangerous, ruthless men during her 13 days in captivity. This is not a book for the faint of heart and I actually sent my book club an official trigger warning after I finished it, as I had chosen the book before realizing just how graphic it was. Even if I had known, I still would have asked my book club to read it. I am asking everyone to read it - including you, dear Reader - because as dark and disturbing as this novel gets, it is also beautiful, raw, honest, and necessary. The things that happens to Mireille, the compromises she makes, the strength she draws on, and her fight to survive, make for an incredible story, sure. But it's also more than that. For too many women, it's a story they've lived. It's a commentary on sexual violence, class warfare, and privilege. It's the best kind of fiction, because it's true and not-true at the same time. While the violence in the book is the primary, immediate plot, there's a second story that is just as intense and beautifully told - the love story of Mireille and her husband, Michael. During Mireille's captivity, she attempts to find solace in her memories of the man she loves, the father of her child. We get the story of their courtship, their early marriage, their family life, the challenges they've faced and overcome. These scenes were necessary, not just as a place for the reader to rest and recover, but because they balanced the book so beautifully. Horror and hatred and violence on one hand; love and family and pleasure on the other. Is there anything more true than that? Read this book, please. It will haunt you in all the right ways.